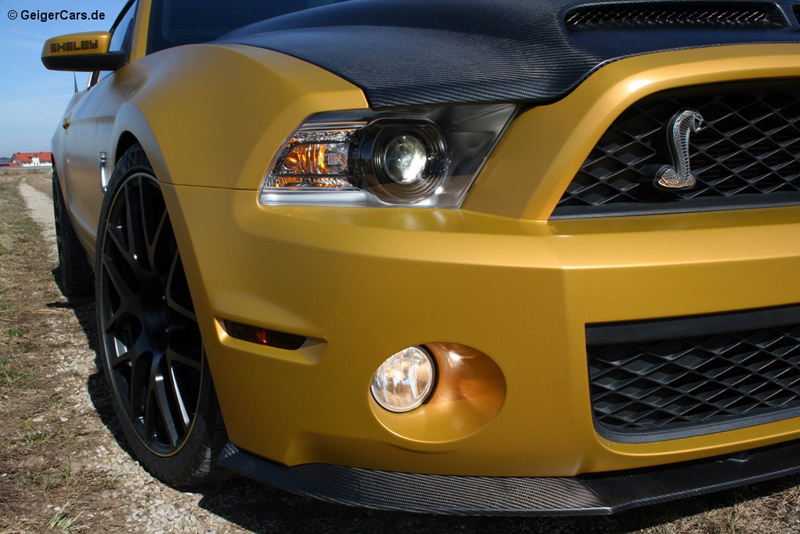 American muscle with German venom. 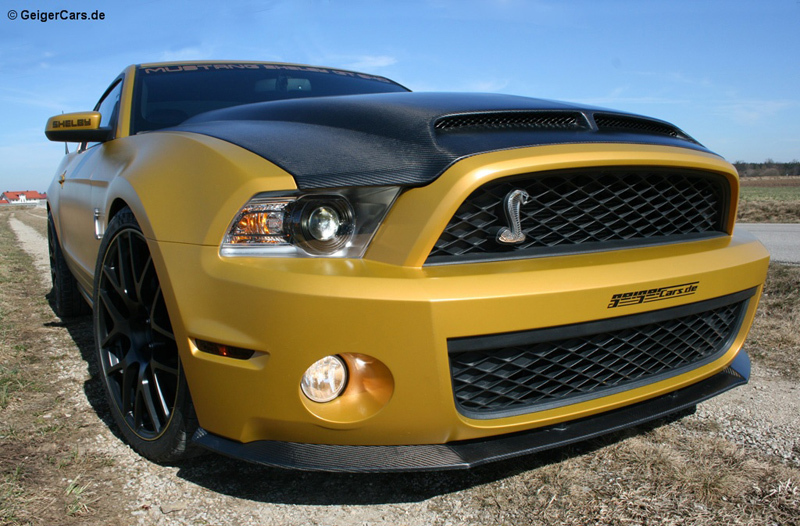 The Shelby GT500 is one of the baddest Ford Mustangs on the market, with 550 supercharged ponies shredding the rear tires. 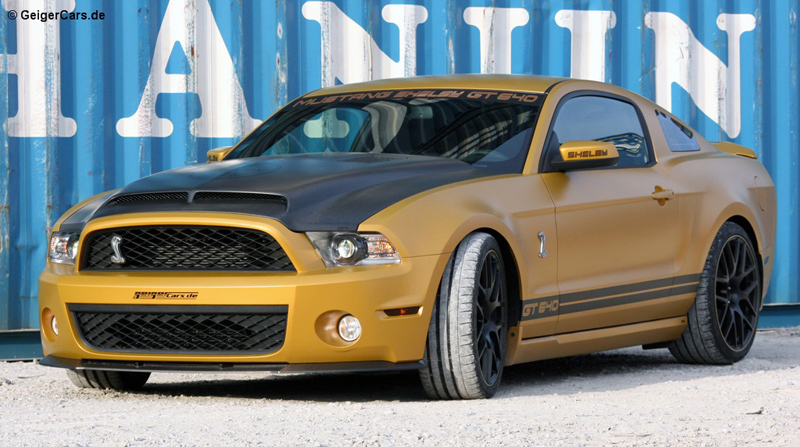 But, the American car specialists at GeigerCars had bigger plans for the GT500 that involved a golden paintjob and more potent venom. 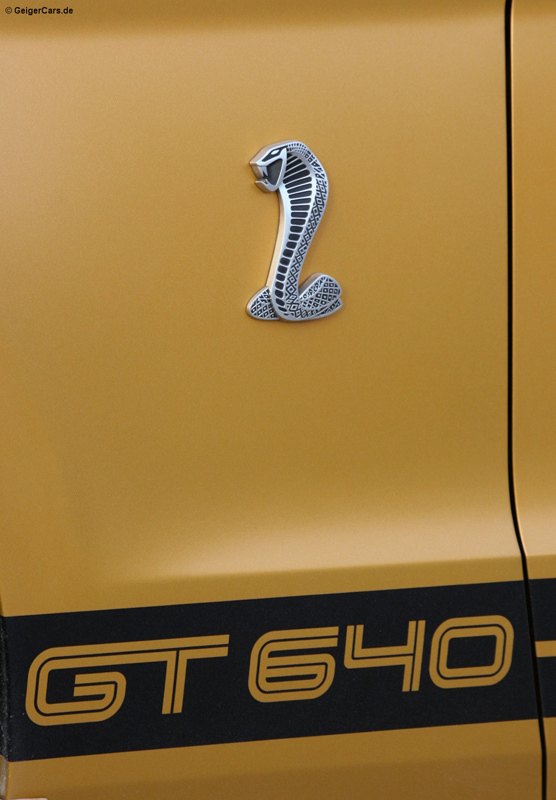 The new GT640 Golden Snake is based on the Shelby Mustang GT500. The “stock” vehicle uses a blower to force air into the 5.4-liter V-8 engine and produce 550 horses. But, with GeigerCars, it gets even better. 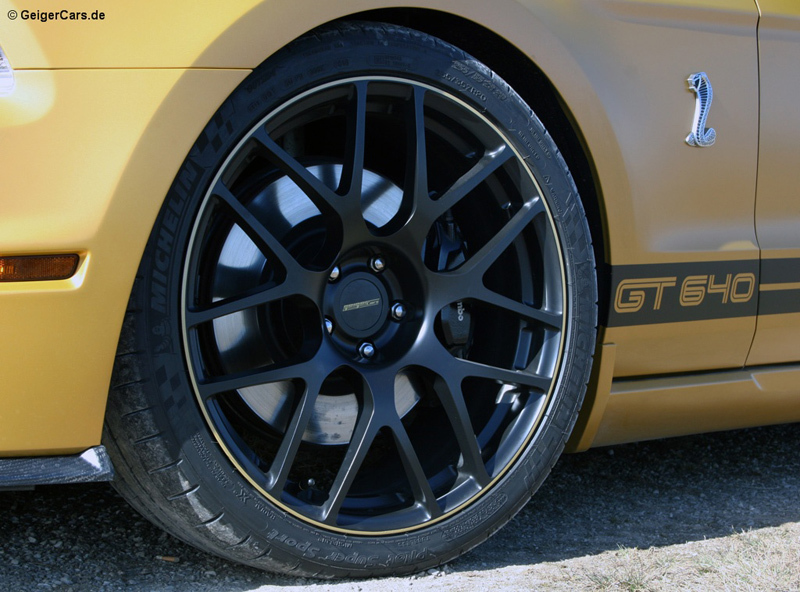 The new Shelby GT640 Golden Snake packs a more powerful bite, with a 2.3-liter supercharger, a stainless steel exhaust, and a software upgrade. 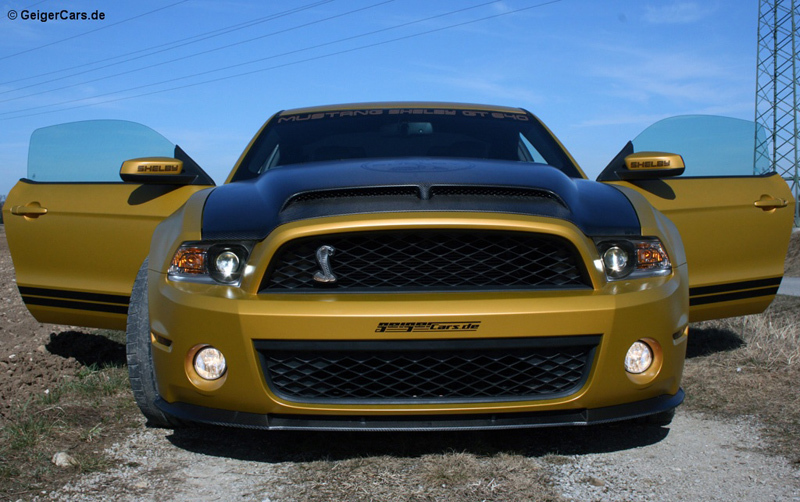 This results in a total output of 631 horsepower (640 PS) and 582 lb-ft. of torque. The added power launches the GT640 Golden Snake to 62 mph in a screaming 3.7 seconds, while the top speed is pushed to 183 mph (295 km/h). 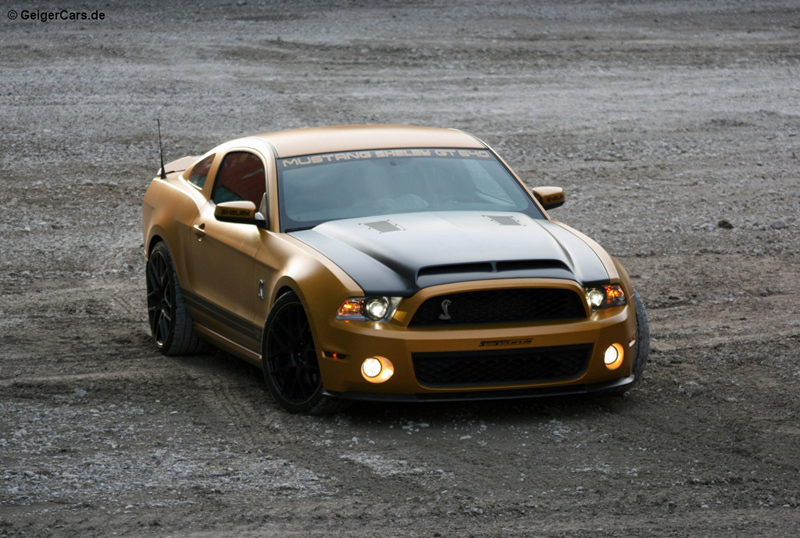 Although the Mustang may be considered a muscle car, it doesn’t handle like the old-school pony cars of the past. Engineers at GeigerCars have fitted a new H&R adjustable sport suspension to give drivers the ability to fine tune their handling for specific driving conditions and tracks. In addition, a new set of matte black GeigerCars wheels have been installed, measuring 8.5 x 20 at the front and 10 x 20 at the rear. New 255/35 ZR20 front and 285/30 ZR 20 rear Michelin Pilot Sport rubber has been fitted, ensuring optimum traction. But don’t worry; they can still be turned into a cloud of smoke in an empty parking lot. 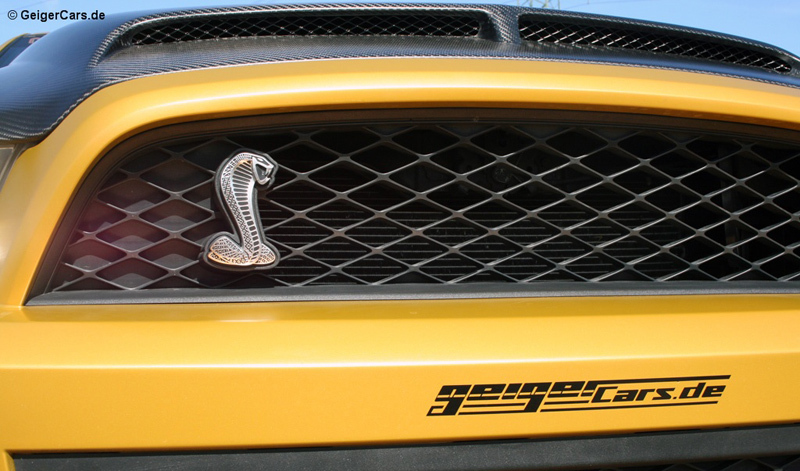 While the “GT640” nameplate comes from the amount of power (in PS), the “Golden Snake” name comes from the striking exterior of the Mustang. 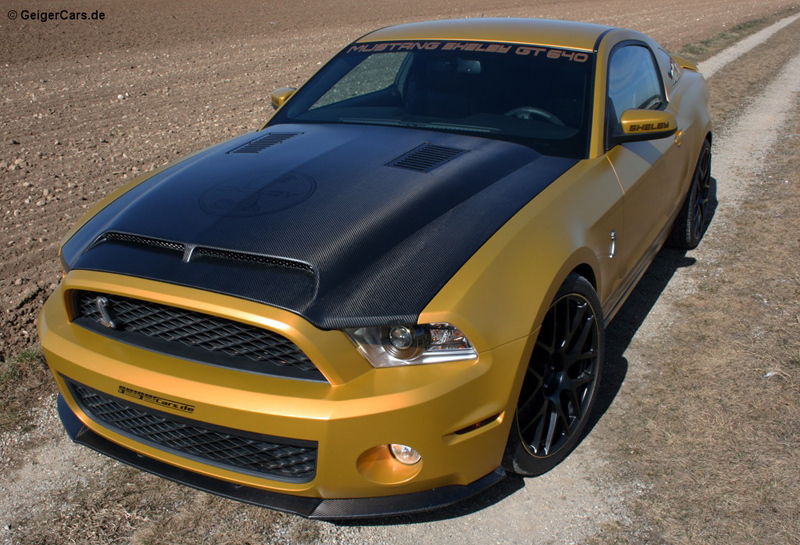 A coat of Dead Gold paint shines during the sunset and is contrasted by black decals, stripes, and matte black wheels. 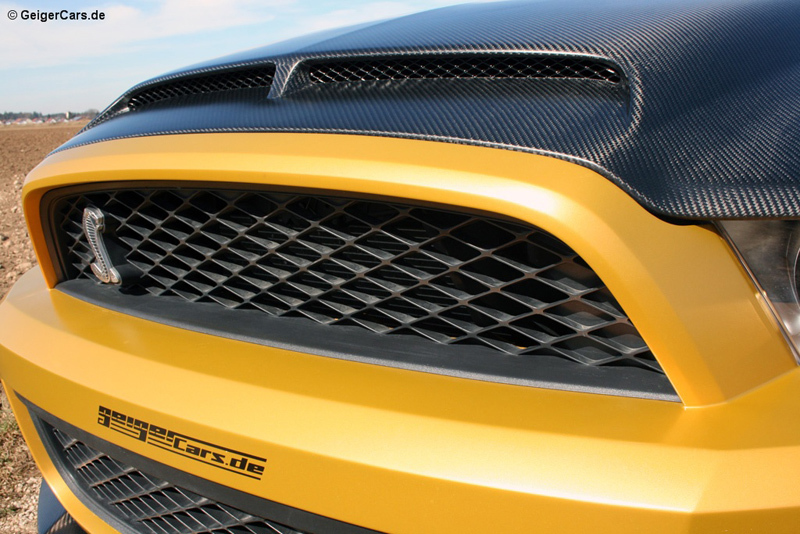 A new carbon fiber hood sits naked atop the engine, and not only reduces weight, but incorporates an air channel that redirects cool air to the engine. 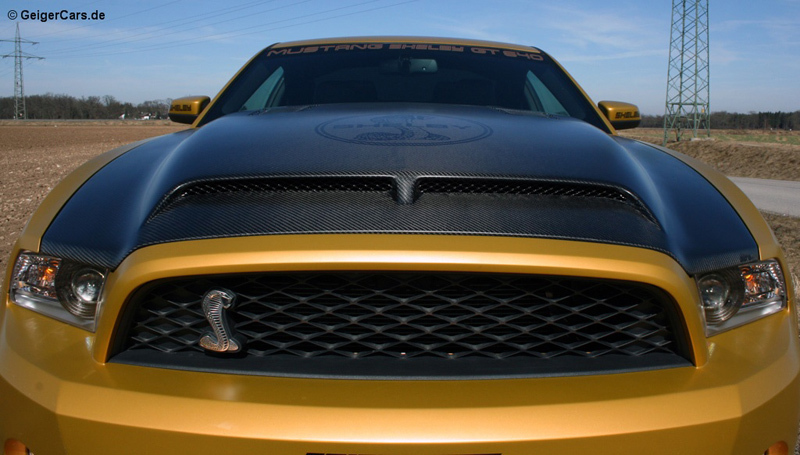 A carbon fiber spoiler also has been fitted at the front and improves downforce and high-speed stability. 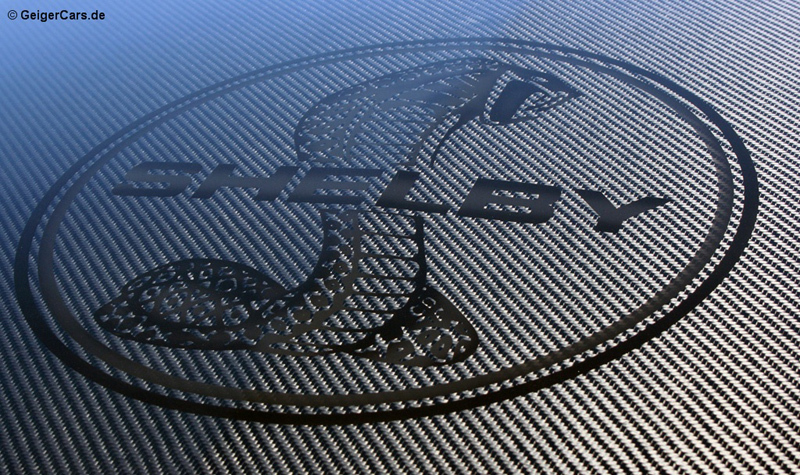 Inside, the Ford Mustang Shelby GT640 is mainly stock. 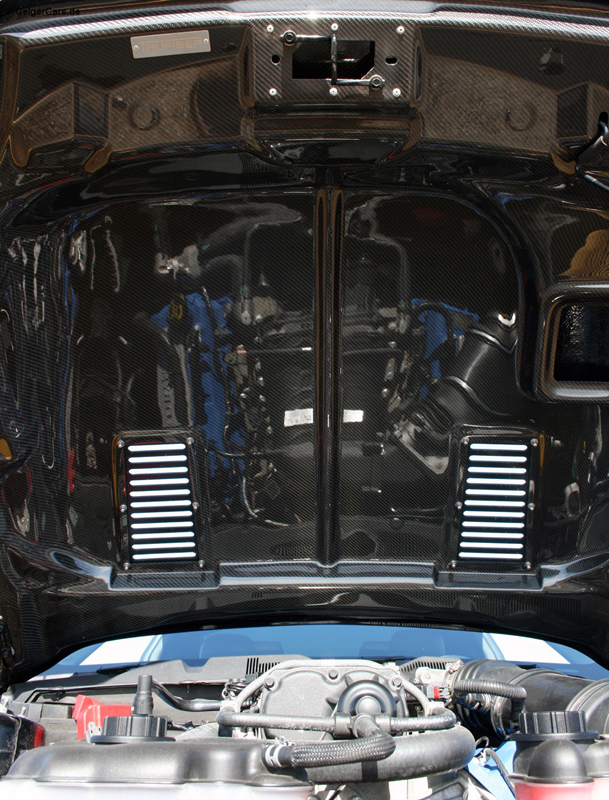 The only upgrade GeigerCars installed was a high-quality sound system with EU navigation. We’ll keep that off though, this is a car we’d happily get lost in. 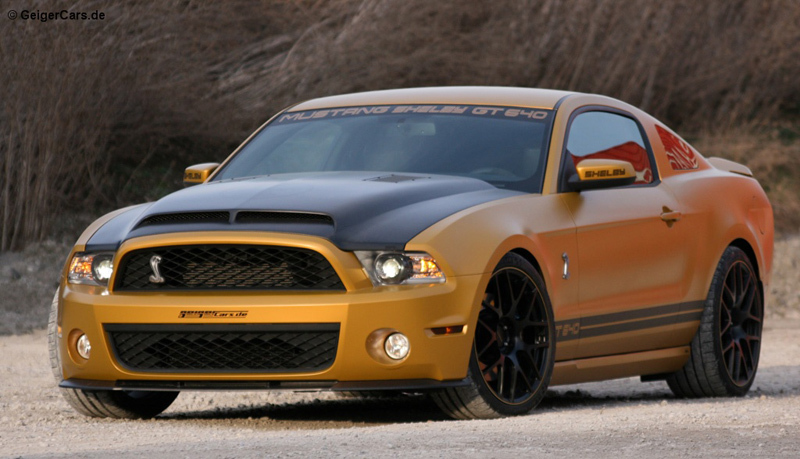 The GeigerCars Ford Mustang Shelby GT640 Golden Snake is currently available for € 89,000 (+/- 128,600 USD). 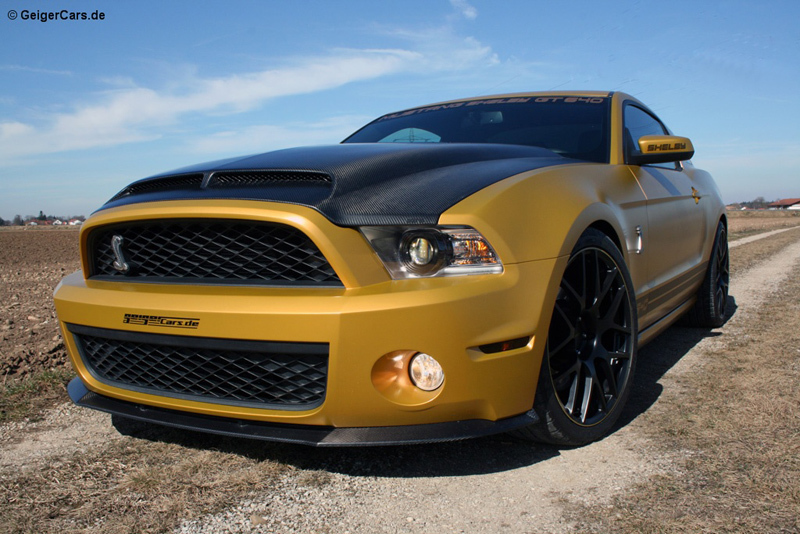 What’s your favorite part about the GeigerCars Ford Mustang Shelby GT640 Golden Snake? Leave a comment and let us know!